I think it's my first original anime art wallpaper in this site. The character that inspire this job is Aika Fuwa (Zetsuen no Tempest). That was a really long hard job, so I hope you'll like! 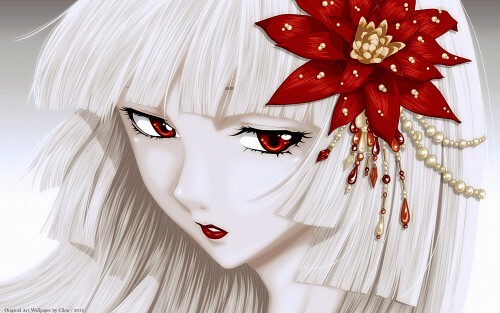 The detail to the hair and the flower is simply incredible! Amazing job! This is beautiful, I love it! Great job. Wallpaper made ​​with attention to every detail. Good idea to do it in white-red colors. Thanks for sharing. It was my computer wallpaper for a long time!